Conneely Goes Back to School! 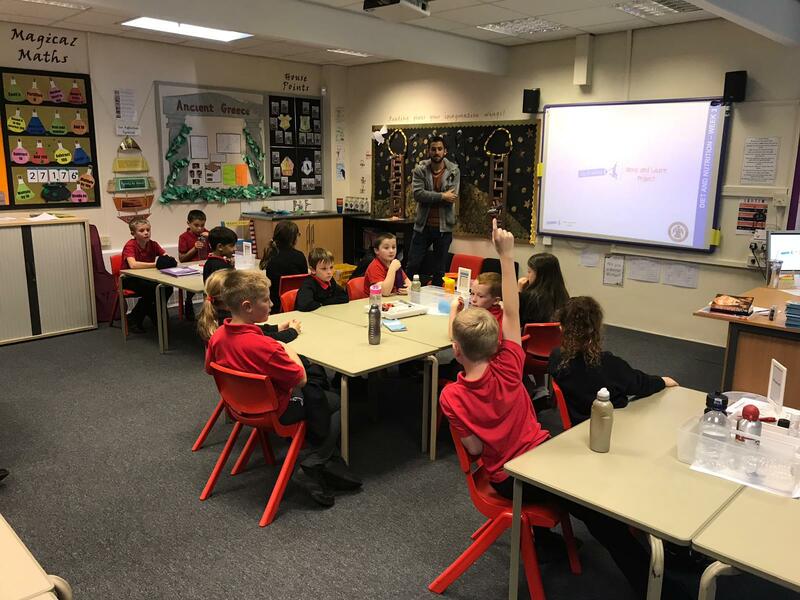 A group of lucky year 5 pupils at St Peter’s and St Paul’s received a surprise visit from Accrington Stanley’s captain Seamus Conneely. Conneely got involved with their Move and Learn lesson which was all about diet and nutrition. The children quizzed him on life as a footballer as well as his diet and the importance of exercise. Some of the questions that were asked were; how long did the team train for a week and did he eat fruit and vegetables to which he answered he liked bananas but disliked broccoli but ate it because it was good for you! Once all questions were answered he posed for photos with the pupils and signed their fixture lists. For more information on Kinder +Sport Move and Learn sessions please contact Josh Cooper on 01254 304071 or email Josh.cooper@stanleytrust.co.uk.